- Each Gel-Filter will last approximately 6000 liters. 1. 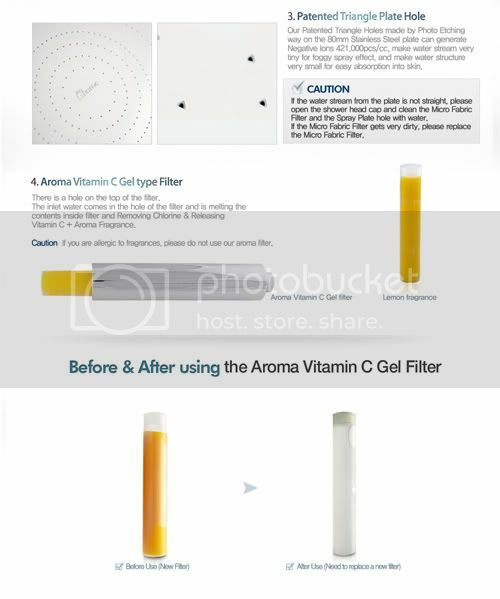 How can the Vitamin C filter remove chlorine? A : Vitamin C (Ascorbic acid) removes chlorine by netralizing the chlorine in the water. The chemical structure of Vitamin C can react with chlorine in the water and convert it as non-harmful mild Hydrochloric acid, providing you with mild acidic clean water which is optimum for your skin and hair. 2. Is there any scientific research that shows Vitamin C can be used to safely remove chlorine? A : Yes. Researches were conducted by the U.S. Environmental Protection Agency (US EPA) & US Department of Agriculture Forest Service have shown that Vitamin C is safe and works quickly for chlorine removal. 3. How does Vitamin C help to protect cells from free radical damage? A : Free radicals are molecules with incomplete electron shells which make them more chemically reactive than those with complete electron shells. Antioxidants neutralize the electrical charge and prevent the free radicals from taking electrons from other molecules. Vitamin C is one of the antioxidants that neutralizes free radicals and protects cells from free radical damage. 4. I prefer hot showers. 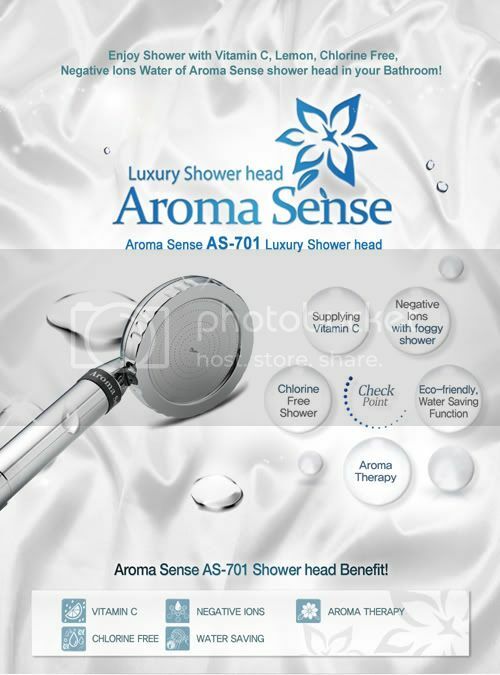 Can I use the Aroma sense shower head with a heater? A : Yes. 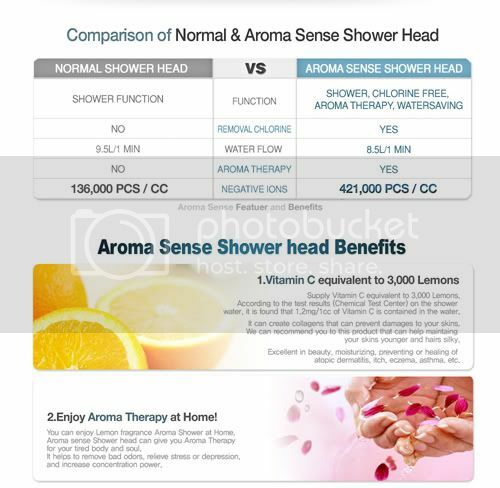 The Vitamin C content of Aroma sense shower head will not be affected by the heat so you can use the shower head with a water heater system and still enjoy the health-enhancing benefits of its Vitamin C content. 5. Is the Spa Shower filtered water drinkable? A: Aroma Sense filter is made of food-grade Vitamin C. The water is not designed for drinking, but there is no danger if you accidentally drink it while showering. 6. What is the difference between Vitamin C in gel and powder form? A: Similar products on the market use Vitamin C powder cartridges. Powders tend to clump up and harden when in contact with water, whereas gels will not. Gel cartridges also tend to last longer. 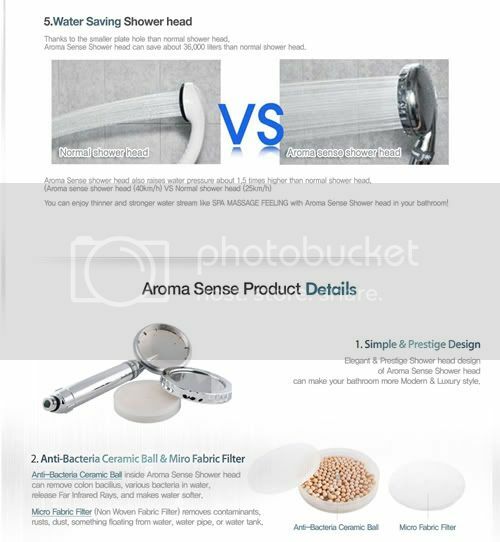 Our gel filter releases Aroma fragrance during shower, but powder type filter does not have aroma fragrance at all. 7. Do I need to replace the non-woven fabric in the filter? A : For maintenance, the non-woven fabric needs to be washed occasionally, especially if you notice a decrease in water flow from the shower head. If the fabric gets clogged, it can decrease water flow and damage the shower head. Each replacement cartridge comes with an extra non-woven fabric. It should be replaced when you replace the filter. 8. 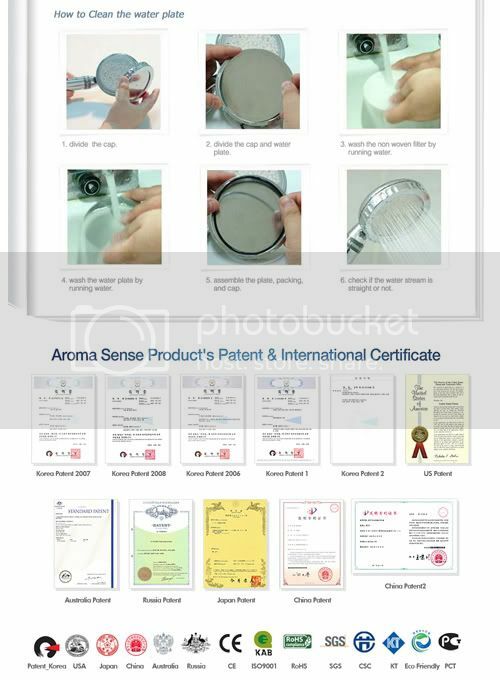 When and how do I need to replace the Aroma C Spa Shower cartridge? A : You should replace the cartridge when you notice the fragrance from the cartridge has diminished and the color has vanished. 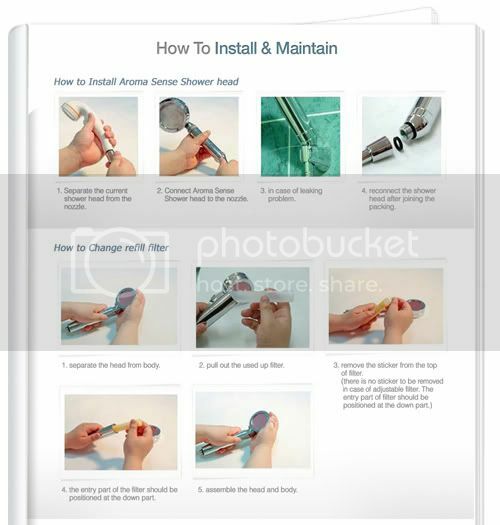 To replace the cartridge, open the shower head, remove and replace. 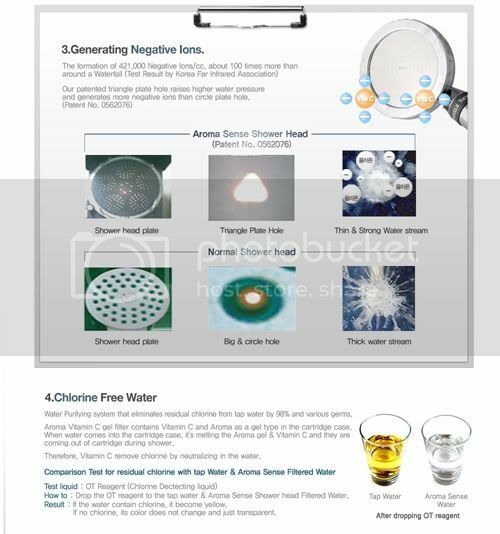 *Product is inclusive of a 6 Months Limited Warranty against Manufacturer's defects.